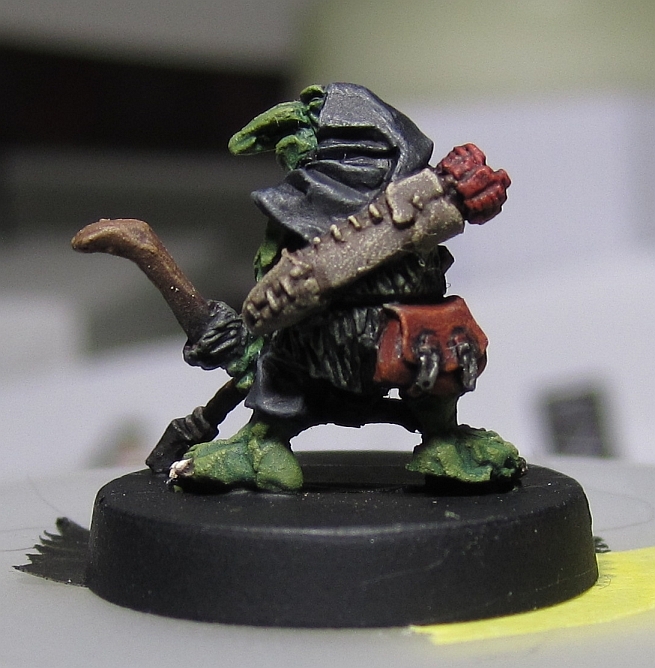 It's kind of unfashionable to say, but they're actually really cool little dudes - and if you ignore the Games Workshop universe - an adversary in huge numbers able to overwhelm and infiltrate your lines with easy or ambush with great skill. Back in the mists of time (well 1982 to be precise), Steve Jackson and Ian Livingstone - the guys who went on to found Games Workshop oddly, started a series of books called Fighting Fantasy - a fantasy twist on Choose Your Own Adventure. 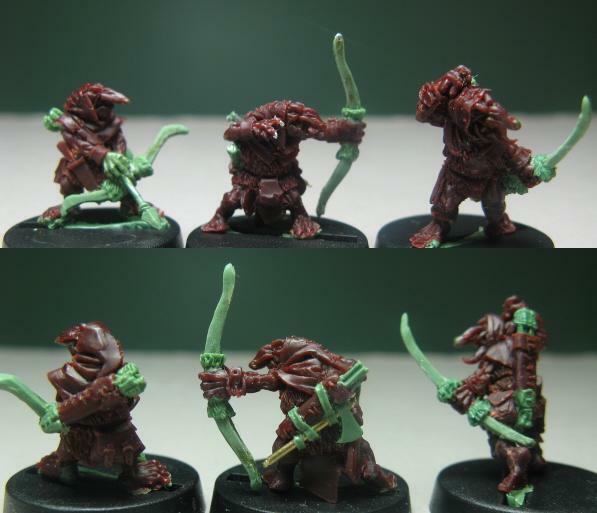 This is where I first started to love Orcs and Goblins, but unfortunately, the vision of those goblins isn't generally the way min designers see them today - until Red Box Games! 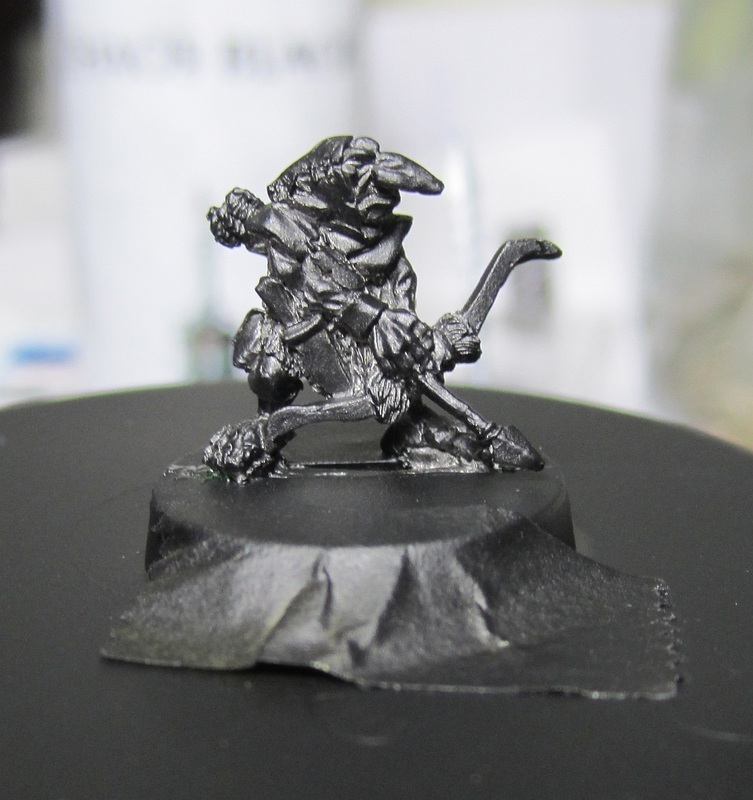 Now I have to tell you, these goblin minis are tiny and beautifully in scale with the rest of Red Box Games minis, which instead of being bulky and hulking are perfectly proportioned and sculpted. Honestly, there are very few that do minis so well! 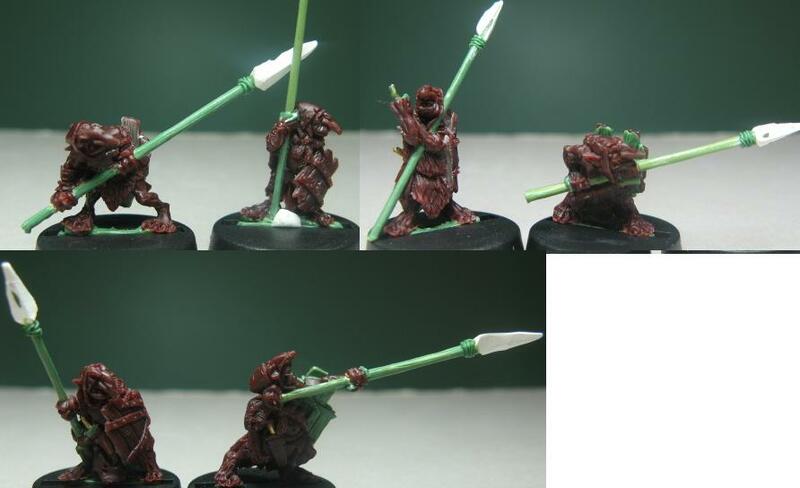 These Goblin Archers the ones I ordered a long time ago and have been waiting to paint. Great little poses full of mischief and evil - one of them even has his tongue poking out! Now I don't always paint fantasy, as I have mountains of Space Marines and miniatures from pretty much everyone - but this project is going to be a fun little to do... so here we go! 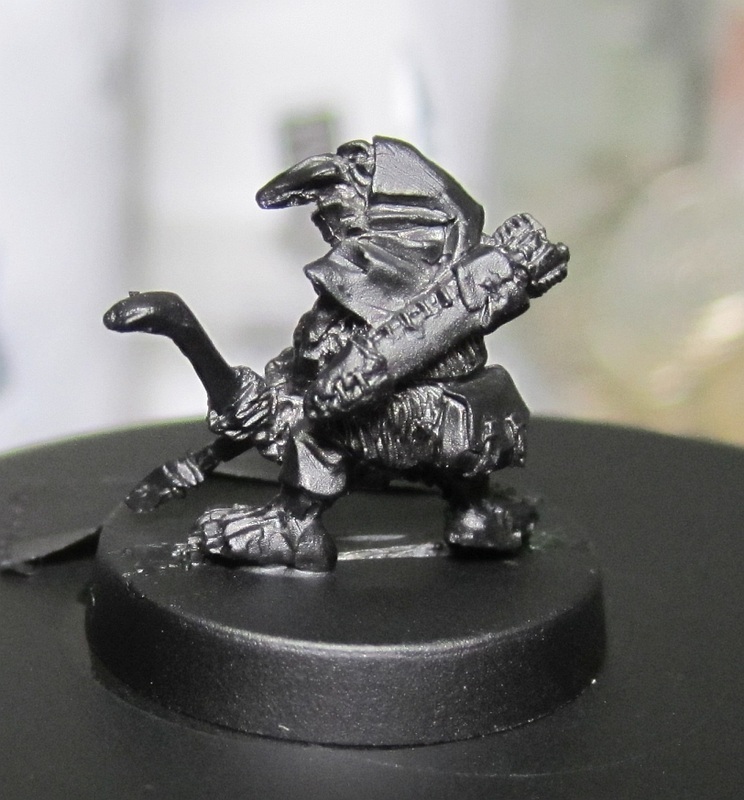 So this is the mini in it's black undercoat. It was hard to get a light coat on such a small guy! 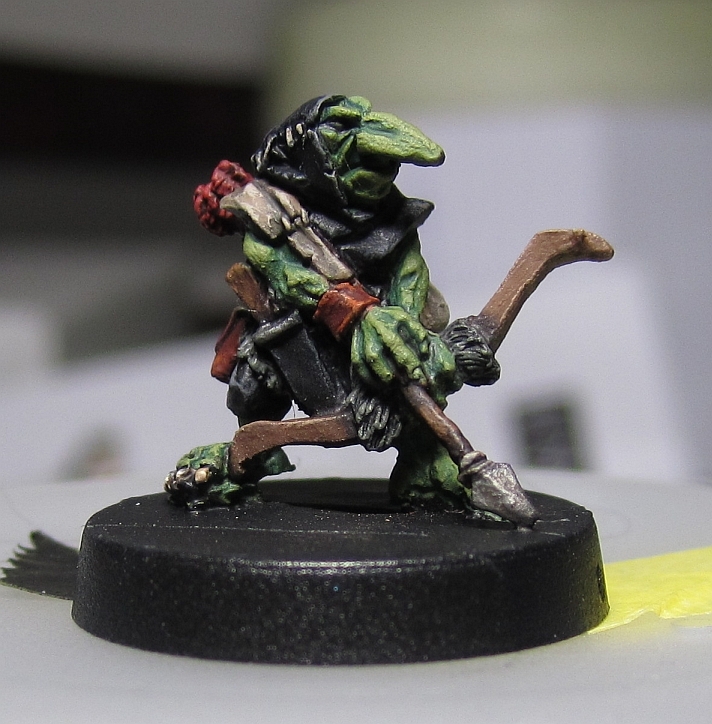 Traditional colours on the Goblin - blacks, greys and tans with a touch of orange & red for the leather and the arrows. You can see the dark red arrows here and the leather bag. I will likely change the clasps to gold later on. Once dry the model was given a Testors Dullcote to unify the different sheens. 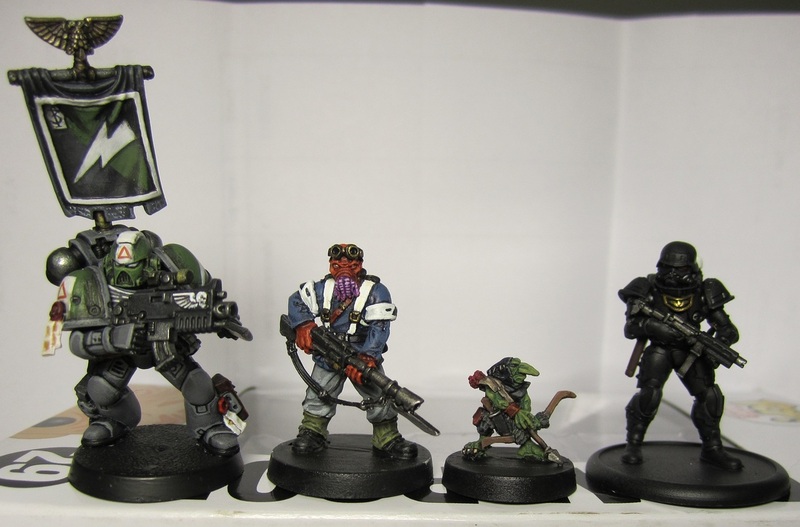 GW plastic Space Marine | Victoria Miniatures Cthood | Red Box Games Goblin Archer | Dreamforge Eisenkern Stormtrooper.